These eager friends are ready to hike. 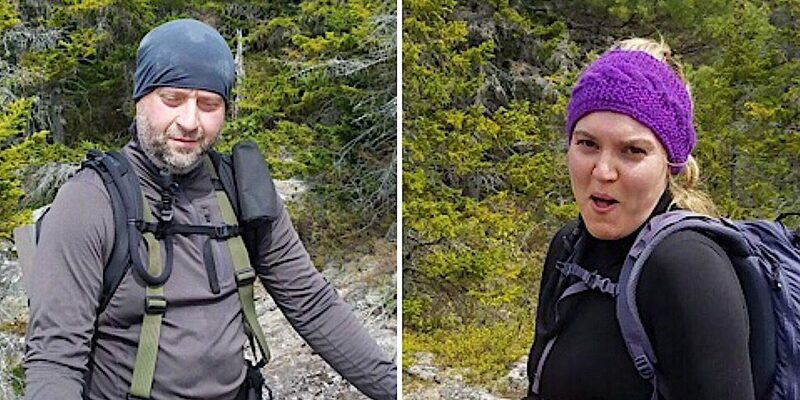 Scrambles and views were requested by our returning guest, Oleg, and his friend, Yuliya, so we thought the Baldface Circle Loop might deliver (it’s not our first time to this rodeo). And it did. Leading this campaign was Redline Guide Ken Hodges. The experience for Oleg and his friend actually began the night before. They rolled into North Conway late and met owner Mike Cherim at IME before they closed. Oleg was hoping to secure some mountaineering boots for next winter for sale in this local consignment shop and wanted to bounce questions off of Mike and get his advice (something they’d repeat on Sunday). It didn’t take too long to find a suitable boot of the right size by La Sportiva that Oleg liked and felt comfortable in so a purchase was made. 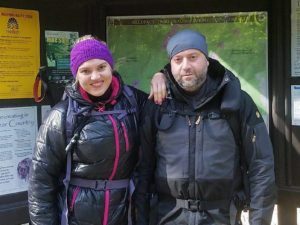 Regarding gear for the hike the next morning, Oleg was all set so Mike and the duo parted ways with the plan for Oleg and Yuliya to meet Ken the next morning. 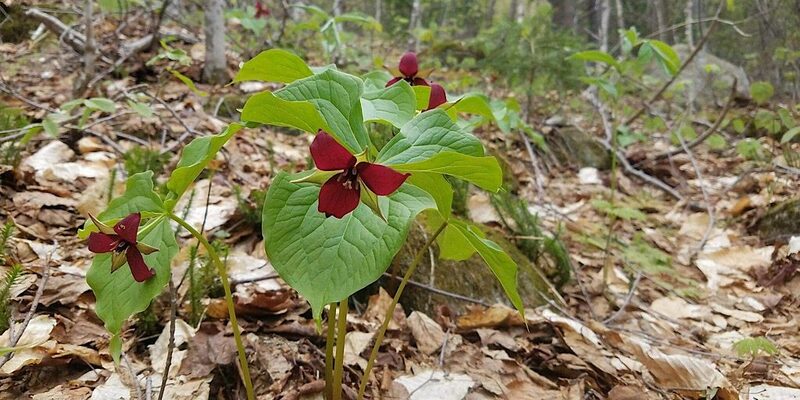 What’s commonly known in this area as red trillium greets our guests. The following morning, as planned, with Ken leading the charge, the team made their way to the trailhead for the Baldface Circle Trail in Evan’s Notch. For those not in the know, we can describe this area which sidles up next to the Maine border and the mountains that live there as stunning. This, of course, is actually an understatement. 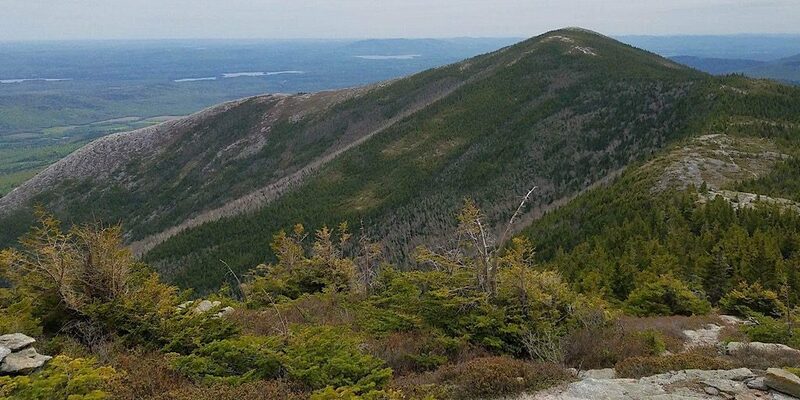 Eastman, South and North Baldface, Eagle Crag, Meader, the Royces, all gorgeous. And less travelled. What a perfect venue for our guests. The day was shaping up to be perfect, with one minor wrinkle: there was a chance of rain in the afternoon. 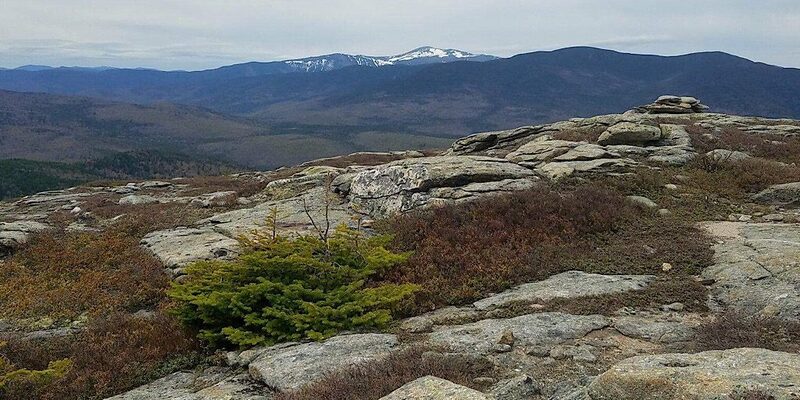 The Baldface Circle Trail covers three of the aforementioned peaks offering a ton of alpine exposure. This is not a place anyone wants to be at during a rainstorm. Moreover, if there is potential for the rain to be accompanied by electrical activity, this area can be deadly. This was a concern to Ken and his party. Especially to Yuliya who was particularly wary. 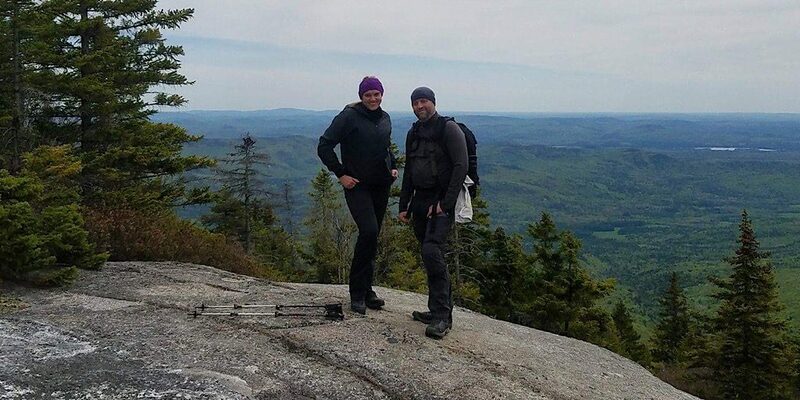 Our guests on Bicknell Ridge enjoying the hike thus far. 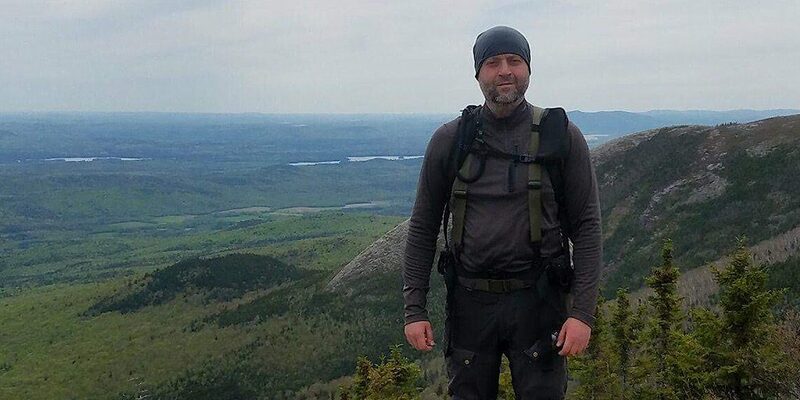 Because of this Ken decided to ascend the Bicknell Ridge Trail. This is often reserved as our exit route but on this trip it made sense to go up this way so that if the rains came they could simply turn around. The rains held off, though, and the day was fair. 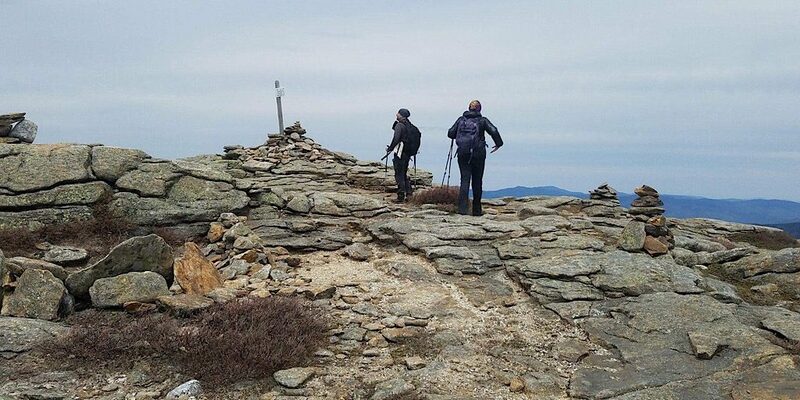 The team continued on toward North Baldface reaching that summit in no time marveling at the grandeur of the area. We do pride ourselves in picking them well! Being “redliners” helps. 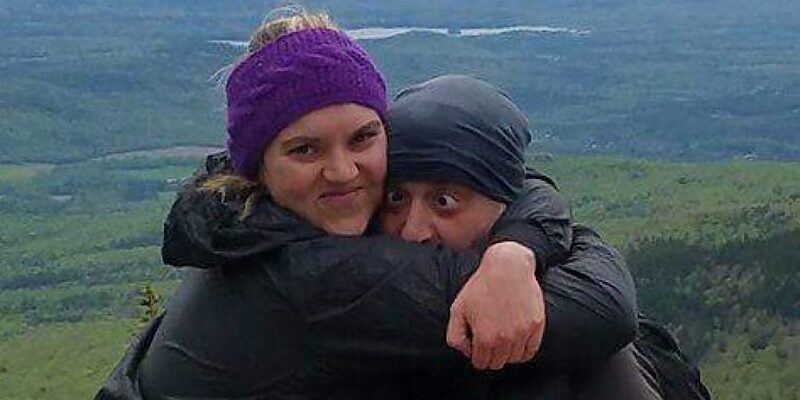 This New York duo is really enjoying our mountains. Yuliya very enthusiastically thanks Oleg for bringing her along on this trip. 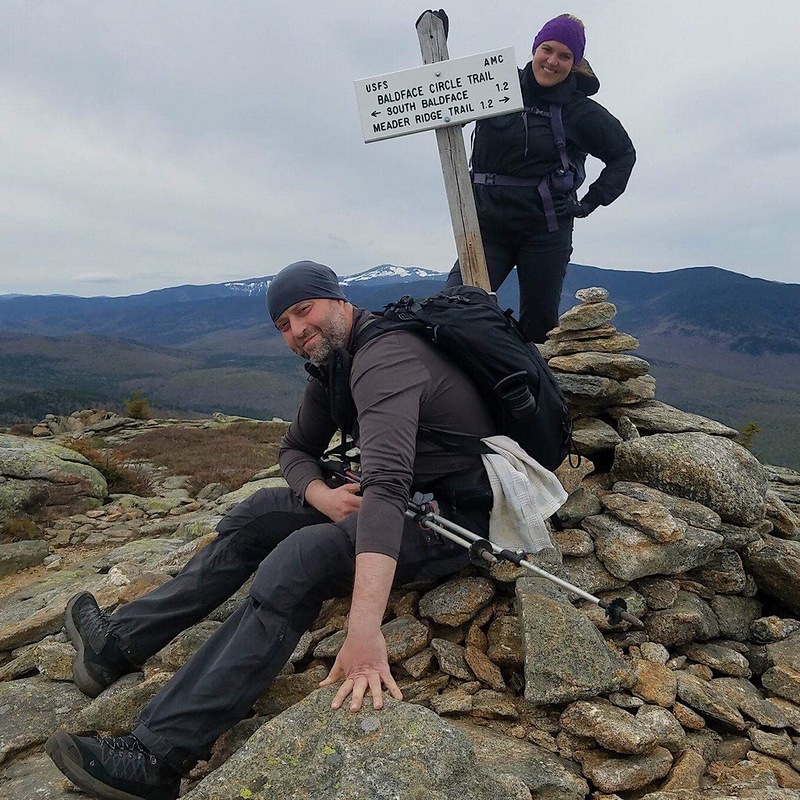 On the summit they heard a distant rumble and while looking in hindsight they could have completed the loop, in respect to Mother Nature — and to Yuliya — they decided to return the way they came and headed back instead of hiking to South Baldface. 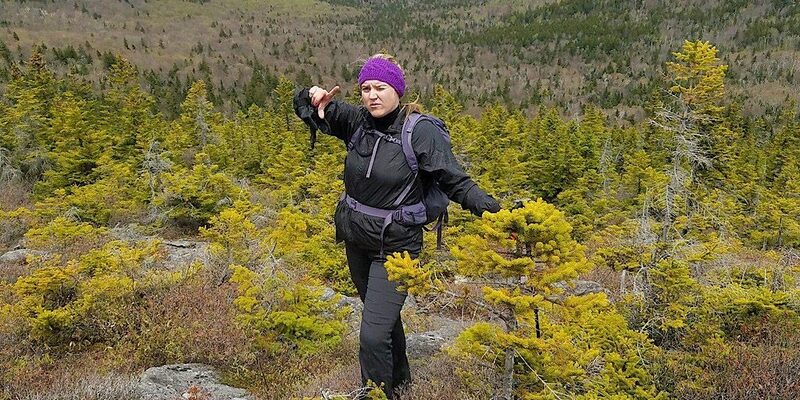 When they made it back to the Bicknell Ridge Trail junction, however, it was decided to continue on toward Eagle Crag. The rains were staying away for the time being. 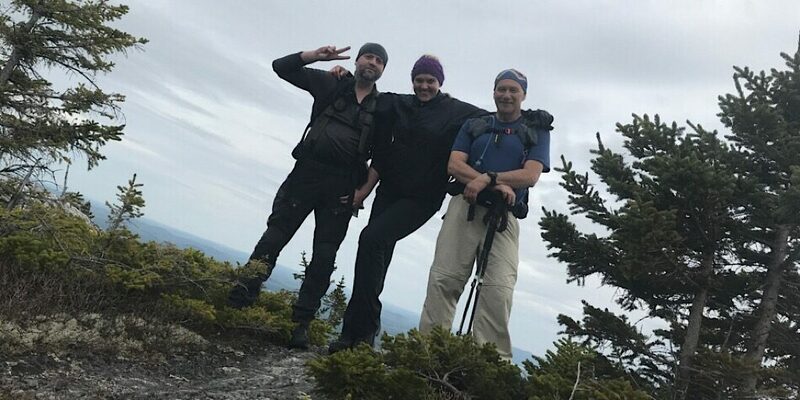 Our guests had proven themselves surefooted and comfortable on the rock so far so Ken decided to take them down the north leg of the loop trail, which while steep in places, they descended it with ease and without incident. Living the ridge life. So pretty up here. This special place can reach into your soul and make you love. Elation found on the North Baldface summit. Congratulations! This remote alpine area is a cut above. South Baldface beckons but the team will wait.